The Fairtrade Foundation was established in 1992 by CAFOD, Christian Aid, Oxfam,Traidcraft and the World Development Movement. These founding organisations were later joined by Britain’s largest women’s organisation, the Women’s Institute. The Foundation licenses the FAIRTRADE Mark, to products which meet internationally recognised standards. Matthew Anderson created the website www.researchfairtrade.com in 2005 as part of his PhD and he has been updating it with the latest Fair Trade news and articles ever since. His PhD investigated the history of the Fair Trade movement from the 1960s to the present day. He has been involved with Fairtrade City campaigns in both Birmingham and London and also had the opportunity join the Fairtrade Producer Partner Tour and attend Glastonbury Festival with the Fairtrade Foundation Campaigns team. 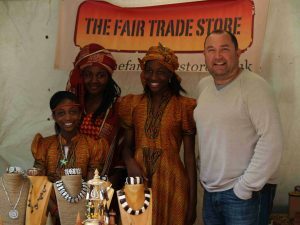 Established in February 2009, THE FAIR TRADE STORE is a small, family-owned, independent, online business based in Southport. 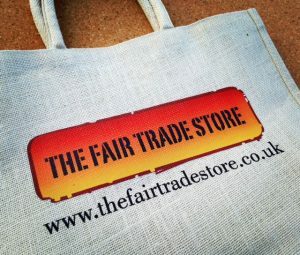 Dedicated to bringing you quality Fair Trade products – handmade in the developing world – straight to your door in an easy, convenient and secure way. The products sold are unique and not readily available in supermarkets or department stores, which allows you the opportunity to purchase something really special. The Oromo Coffee Company (OCC) is a unique social enterprise, owned and managed a group of Oromo people, originally from the Oromia Region of Ethiopia and now living in England. We can supply to individual outlets, community groups, institutions, retailers and wholesalers. Coffee orders can be placed with the Oromo Coffee Company by visiting the buy online page, and we also sell our Coffee in Bulk Orders. Alternatively, you can purchase our products from a number of stockists around the UK. Jurang Fair Trade is a Coffee Merchant that sells premium quality coffee and ensures it is sourced from sustainable and ethical sources through Fairtrade accreditation.